This book examines the condition of being a young person in China and the way in which changes in various dimensions of urban life have affected Chinese youths' quests to understand themselves. 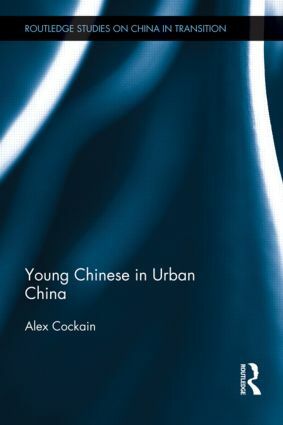 The author examines social factors such as changes in the physical construction of urban neighbourhoods; changes in family life including reduced family size, increasing rates of divorce and increased physical mobility of the family unit; school life and mounting pressure to perform well in examinations and be a good student; access to foreign and domestic media as well as access to the internet. Drawing on the fields of social and cultural anthropology, Alex Cockain shows that the process of self understanding in a changing spatial, social and cultural world involves ongoing disjointed efforts to achieve a sense of security and belonging on the one hand and a degree of increased autonomy in their relationships with, for example, parents and teachers on the other. This book will appeal to anyone interested in Chinese Society, Social and Cultural Anthropology, Asian Anthropology and Youth Studies. Alex Cockain is a teaching fellow at Hong Kong Polytechnic University.